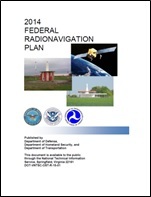 November 30, 2016, SUMMARY: This RFI provides an outline for the potential use by the Federal Government of one or more Positioning, Navigation, and Timing (PNT) technologies to back up signals from the Global Positioning System (GPS) and to ensure resiliency of PNT for U.S. Critical Infrastructure (CI) operations. As a co-chair and member of the National Executive Committee for Space-based PNT, and a provider and user of U.S. critical infrastructure services, the Department of Transportation is investigating opportunities by which the Federal Government may make use of service(s) which can provide the necessary backup capability or capabilities to ensure PNT continuity for U.S. CI in the event of a temporary disruption in GPS availability. Further, as the lead civil agency for PNT in the Federal Government, the Department of Transportation is interested in leveraging PNT service technology initiatives under consideration or currently undertaken by industry. The Federal Government is presently documenting civil requirements for PNT capabilities to serve as the basis for potential future acquisition activity. The initial objective is to support sustainment of domestic CI timing continuity with the capability to extend service(s) in the future to provide positioning/navigation continuity as well. DATES: Responses should be filed by January 30, 2017. October 14, 2016, The purpose of this notice is to inform the public that the U.S. Department of Transportation hosted its fifth workshop on the Global Positioning System (GPS) Adjacent Band Compatibility Assessment effort. The purpose of this workshop was to discuss the results from testing of various categories of GPS/Global Navigation Satellite System (GNSS) receivers to include aviation (non-certified), cellular, general location/navigation, high precision and networks, timing, and space-based receivers. The workshop also included a discussion on the development of use-case scenarios for these categories. DATE/TIME: October 14, 2016 / 10 a.m. - 4 p.m. (Eastern Daylight Time). LOCATION: RTCA, Inc., 1150 18th ST NW, Suite 910, Washington, DC 20036. July 7, 2016, SUMMARY: The Department of Transportation, through the Office of the Assistant Secretary for Research and Technology (OST-R), is providing notice to the public that it will conduct additional testing of Global Positioning System/Global Navigation Satellite System (“GPS/GNSS”) receivers this July as part of the DOT Adjacent Band Compatibility Study (“the Study”). The goal of the Study is to evaluate the adjacent radio frequency band power levels that can be tolerated by GPS/GNSS receivers, and advance the Department's understanding of the extent to which such power levels impact devices used for transportation safety purposes, among other GPS/GNSS applications. In April 2016, radiated testing of GNSS devices took place in an anechoic chamber at the U.S. Army Research Laboratory at the White Sands Missile Range (WSMR) facility in New Mexico. FOR FURTHER INFORMATION CONTACT: Stephen Mackey at the DOT/OST-R Volpe National Transportation Systems Center at stephen.mackey@dot.gov or 617-494-2753. March 3, 2016 - Summary: The Department of Transportation, through the Office of the Assistant Secretary for Research and Technology (OST-R), will begin testing Global Positioning System/Global Navigation Satellite System (“GPS/GNSS”) receivers this April pursuant to the DOT Adjacent Band Compatibility Study (“the Study”) test plan published with this notice. Device testing will take place at the U.S. Army Research Laboratory at the White Sands Missile Range (WSMR) facility in New Mexico. GPS IIF-12 Successfully Launched from Space Launch Complex 41, Cape Canaveral Air Force Station, Fla.
March 11, 2013, US DOT Federal Motor Carrier Safety Administration (FMCSA) in conjunction with U.S. Senator Charles E. Schumer (NY) announced an effort to publicize that not all GPS navigation devices are created equal and that some navigation systems are designed specifically for commercial truck and bus drivers. Why does it matter which navigation system you use?